Houses & Homes VA: Did you ever wonder how we started celebrating the new year? Did you ever wonder how we started celebrating the new year? It might surprise you to know that January 1st was not always the time of year that we chose to celebrate this world wide holiday. Many ancient civilizations celebrated at different times of the year. The Egyptians began their next yearly cycle in the fall while the Greeks used the winter solstice to mark the beginning of a new year. Ancient Rome’s new year began on March 1st and their calendar had just ten months; there was nothing equivalent to our January or February. So how did we begin the tradition of January 1st when there was no January? Well, the month of January began somewhere around 700 B.C. by the Romans. At that time in Rome the highest government officials (known as the consuls) began their 1 year term about 2 months before March 1st and it was decided by King Numa Pontilius that January and February would be added to the calendar to coincide with the elections. January 1st became the beginning of the next year in 153 B.C. although much of Rome at that time still honored the original March 1st date. Up until 46 B.C. the Roman calendar was actually based on a lunar system and became less accurate as time went on. In that year per the instructions of none other than Julius Caesar the modern solar based calendar that we all know and love became the new yearly measurement of time. This is when January 1st became the official first day of the new year in Rome. Oddly enough many Protestant countries (including Britain and the new American colonies) did not switch to the new calendar system until 1752, almost 1800 years after it became official in Rome! 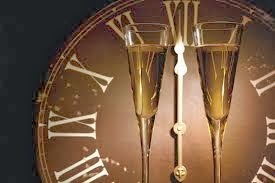 Today of course we enjoy the traditional New Year’s Eve celebrations throughout most of the world on December 31st. China, of course is another story!